The CAF qualifier rounds are almost reaching an end. The last week has seen a score of games being played. Next year’s Africa Cup of Nations will be held in Cameroon and this will be the 32nd tournament. The first kickoff is at Paul Biva Stadium in Yaoundé the capital of Cameroon. The tournament is just short of a month and starts on the 15th of June and ends on the 13th of July. This is the first time in contest’s history that a 24 team format will be played instead of the usual 16 team format. There was some speculation as to whether Cameroon will be able to host the tournament. There are 12 groups with four teams each vying for a spot in the CAF 2019 qualifier rounds. Zambia is in Group K competing against Namibia, Mozambique and Guinea-Bissau. At the moment Zambia is at the bottom of the group with four points and Guinea-Bissau is leading the pack with seven points. There are still two games in hand and Coach Sven Vandenbroeck from Belgium will be focusing on the weakness points of Namibia and Mozambique to get a spot in the upcoming CAF tournament. Sven was appointed the head Coach of Zambia in July 2017. He will be under immense pressure to qualify for the 2019 CAF finals. Sven was the assistant coach of the Cameroon side which took the 2017 Africa Cup of Nations title. It is easy to stay on top of all the action of the football events just by downloading the Betway app. Betway covers most of the football leagues including a multiple of local football leagues in Europe. The app has up to date results for sporting events happening around the world. Football fanatics will be happy to know what they can bet on their favourite team in the CAF Qualifiers. You can find more than just football to bet on at Betway Casino and sports betting in Zambia. 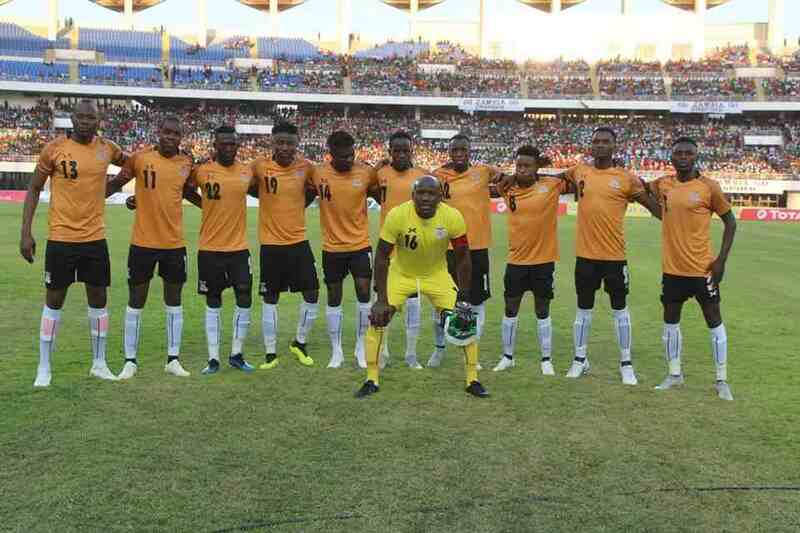 Let’s hope that Chipolopolo reaches the CAF finals in Cameroon 2019.